Tooth whitening involves the use of peroxide-based materials to whiten teeth. Most dentists use an in-office and/or at-home whitening system to achieve the desired results. We find the in office / light system not to be as effective and long lasting as home based tray system. Our home system uses 16% carbamide peroxide gels to oxidize stains. The dentist makes impressions (moulds) of the mouth, and then has soft mouth trays made. The patient is fitted with the trays, and then is instructed to place the gel into the tray and wear while sleeping or for up to 2 hours a day. Most whitening occurs in one to two weeks. In difficult cases, trays may need to be worn for up to six weeks. The procedure is safe when monitored by a dentist, and does not damage the tooth in any way. 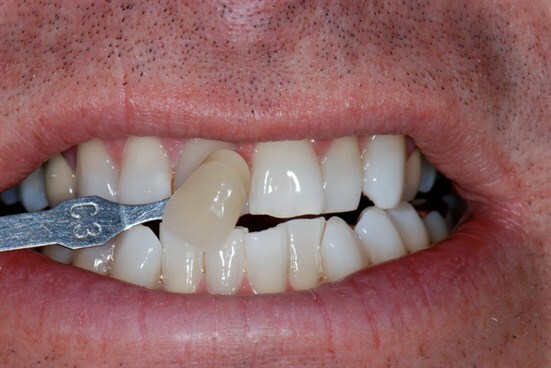 White fillings or porcelain crowns (caps) and bridges will not whiten with either method. Some patients will experience minor tooth sensitivity during whitening procedures. This can be remedied by alternating desensitising toothpaste with the peroxide in the mouth trays.